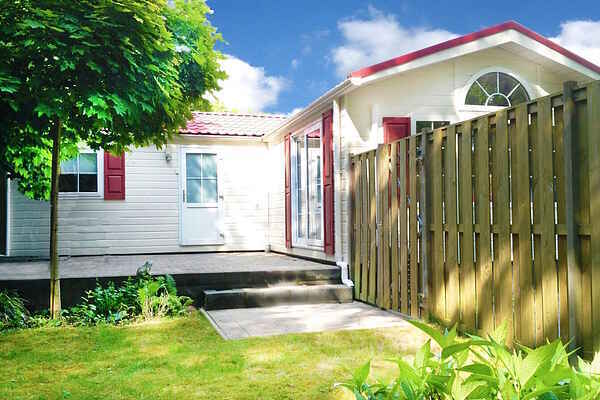 This very spacious, 80m2 chalet is the largest 4-person chalet in Holiday Park Fortduinen. It's in a quiet location, at the edge of the park and directly by the path to the forest. The accommodation has all the modern amenities, including air conditioning and a barbecue. The chalet is set in large grounds and you'll be provided with some nice garden furniture, including two relaxing chairs.